Since the publication of “The Intelligent Investor” by Benjamin Graham, what is commonly known as “value investing” has become one of the most widely respected and widely followed methods of stock pickingStock Investment StrategiesStock investment strategies pertain to the different types of stock investing. These strategies are namely value, growth and index investing. The strategy an investor chooses is affected by a number of factors, such as the investor’s financial situation, investing goals, and risk tolerance.. Famed investor Warren BuffetWarren Buffett - EBITDAWarren Buffett is well known for disliking EBITDA. Warren Buffett is credited for saying “Does management think the tooth fairy pays for CapEx? ", while actually employing a mix of growth investing and value investing principles, has publicly credited much of his unparalleled success in the investment world to following Graham’s basic advice in evaluating and selecting stocks for his portfolio. However, as the markets have changed over more than half a century, so too has value investing. Over the years, Graham’s original value investing strategy has been adapted, adjusted, and augmented in a variety of ways by investors and market analysts aiming to improve on how well a value investing approach performs for investors. Even Graham himself devised additional metrics and formulations aimed at more accurately determining the true value of a stock. In this guide, we offer a number of stock valuation approaches and metrics for you to consider using in order to determine whether a stock’s current price share represents a good “value” buy. But keep in mind that whenever you evaluate a company and its stock price, you need to interpret the numbers in light of things such as specific industry and general economic conditions. In addition, good stock analysis requires that you always review past and current financial metrics Analysis of Financial StatementsHow to perform Analysis of Financial Statements. This guide will teach you to perform financial statement analysis of the income statement, balance sheet, and cash flow statement including margins, ratios, growth, liquiditiy, leverage, rates of return and profitability. See examples and step-by-step instructionwith an eye to the future, projecting how well you think a company will fare moving forward, given its current finances, assets, liabilities, marketplace position, and plans for expansion. It’s also important to avoid getting lost in a purely numerical analysis to the point where you lose sight of the forest for the trees, so to speak. Non-numerical “value” factors that investors should not overlook include things such as how effectively a company’s management is achieving goals, moving the company forward in a way that is consistent with pursuing its corporate mission statement. A company may be showing impressive profitability for the moment, but in today’s excessively competitive marketplace, a company that is not carefully mapping, planning out, and reviewing (and when needed, re-routing) its progress will nearly always eventually be eclipsed by a company that is doing those things. Before we move ahead to review traditional value investing and then look at some of the newer, alternative value investing strategies, it’s important to note that “value investing” and “growth investing” are not two contradictory or mutually exclusive approaches to picking stocks. The basic idea of value investing – selecting currently undervalued stocks that you expect to increase in value in the future – is certainly focused on expected growth. The differences between value investing and growth investing strategies tend to be more just a matter of emphasizing different financial metrics (and to some extent a difference in risk tolerance, with growth investors typically willing to accept higher levels of risk). Ultimately, value investing, growth investing, or any other basic stock evaluation approach has the same end goal: choosing stocks that will provide an investor with the best possible return on investment. Ben Graham is hailed as the “father” of value investing. In “The Intelligent Investor,” Graham proposed and explained a method for screening stocks that he developed to assist even the most inexperienced investors with their stock portfolio selections. In fact, that’s one of the major appeals of Graham’s value investing approach – the fact that it’s not overly intricate or complicated, and can, therefore, be easily utilized by the average investor. As with any type of investing strategy, Graham’s value investing strategy involves some basic concepts that underlie or form the foundation or basis for the strategy. For Graham, a key concept was that of intrinsic value – specifically, the intrinsic value of a company or its stock. 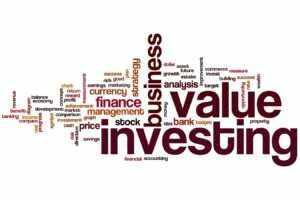 The essence of value investing is using a stock analysis method to determine the stock’s real value, with an eye toward buying stocks whose current share price is below its genuine value or worth. Value investors are essentially applying the same logic as careful shoppers, in looking to identify stocks that are “a good buy,” that are selling for a price lower than the real value they represent. A value investor searches out and snaps up what they determine are undervalued stocks, with the belief that the market will eventually “correct” the share price to a higher level that more accurately represents its true value. The P/B ratio guideline for identifying undervalued stocks is, in fact, only one of a number of criteria which Graham used to help him identify undervalued stocks. There’s some argument among value investing aficionados as to whether one is supposed to use a 10-point criteria checklist that Graham created, a longer 17-point checklist, a distillation of either of the criteria lists that usually appears in the form of a four- or five-point checklist, or one or the other of a couple of single criterion stock selection methods that Graham also advocated. In an attempt to avoid as much confusion as possible, we’re going to present here the main criteria that Graham himself considered most important in identifying good value stocks, i.e., those with an intrinsic value greater than their market price. 1) A value stock should have P/B ratio of 1.0 or lower; the P/B ratio is important because it represents a comparison of the share price to a company’s assets. One major limitation of the P/B ratio is that it functions best when used to assess capital-intensive companies, but is less effective when applied to non-capital-intensive firms. Note: Rather than looking for an absolute P/B ratio lower than 1.0, investors may simply look for companies with a P/B ratio that is relatively lower than the average P/B ratio of similar companies in its industry or market sector. 2) The price-to-earnings (P/E) ratioPrice Earnings RatioThe Price Earnings Ratio (P/E Ratio) is the relationship between a company’s stock price and earnings per share. It gives investors a better sense of the value of a company. The P/E shows the expectations of the market and is the price you must pay per unit of current (or future) earnings should be less than 40% of the stock’s highest P/E over the previous five years. 3) Look for a share price that is less than 67% (two-thirds) of the tangible per share book value, AND less than 67% of the company’s net current asset value (NCAV). Note: The share-price-to-NCAV criterion is sometimes used as a standalone tool for identifying undervalued stocks. Graham considered a company’s NCAV to be one of the most accurate representations of a company’s true intrinsic value. 4) A company’s total book value should be greater than its total debt. Note: A related, or perhaps an alternative, financial metric to this is examining the basic debt ratio – the current ratio – which should at least be greater than 1.0 and hopefully higher than 2.0. 5) A company’s total debt should not exceed twice the NCAV, and total current liabilities and long-term debt should not be greater than the firm’s total stockholder equity. Investors can experiment with using Graham’s various criteria and determine for themselves which of the valuation metrics or guidelines they consider to be essential and reliable. There are some investors who still use only an examination of a stock’s P/B ratio to determine whether or not a stock is undervalued. Others rely heavily, if not exclusively, on comparing current share price to the company’s NCAV. More cautious, conservative investors may only buy stocks that pass every one of Graham’s suggested screening tests. We think you’ll find that incorporating at least some of Graham’s value investing strategy into your portfolio selection process will improve your overall stock investing performance. Value investors continue to give Graham and his value investing metrics attention. However, the development of new angles from which to calculate and assess value means that alternative methods for identifying underpriced stocks have arisen as well. One increasing popular value metric is the Discounted Cash Flow (DCF) formulaDiscounted Cash Flow DCF FormulaThe discounted cash flow DCF formula is the sum of the cash flow in each period divided by one plus the discount rate raised to the power of the period #. This article breaks down the DCF formula into simple terms with examples and a video of the calculation. The formula is used to determine the value of a business. Many accountants and other financial professionals have become ardent fans of DCF analysisDCF Model Training Free GuideA DCF model is a specific type of financial model used to value a business. DCF stands for Discounted Cash Flow, so the model is simply a forecast of a company’s unlevered free cash flow discounted back to today’s value. This free DCF model training guide will teach you the basics, step by step with examples and images. DCF is one of the few financial metrics that take into account the time value of money – the notion that money available now is more valuable than the same amount of money available at some point in the future because whatever money is available now can be invested and thereby used to generate more money. DCF analysis uses future free cash flow (FCF)Free Cash Flow (FCF)Free Cash Flow (FCF) measures a company’s ability to produce what investors care most about: cash that's available be distributed in a discretionary way projections and discount rates that are calculated using the Weighted Average Cost of Capital (WACC)WACCWACC is a firm’s Weighted Average Cost of Capital and represents its blended cost of capital including equity and debt. The WACC formula is = (E/V x Re) + ((D/V x Rd) x (1-T)). This guide will provide an overview of what it is, why its used, how to calculate it, and also provides a downloadable WACC calculator to estimate the present value of a company, with the underlying idea being that its intrinsic value is largely dependent on the company’s ability to generate cash flow. (Enterprise value is an alternative metric to market capitalization value. It represents market capitalization + debt + preferred shares – total cash, including cash equivalents). If the DCF analysis of a company renders a per share value higher than the current share price, then the stock is considered undervalued. DCF analysisWalk me through a DCFThe question, walk me Through a DCF analysis is common in investment banking interviews. Learn how to ace the question with CFI's detailed answer guide. Build a 5-year forecast of unlevered free cash flow, calculate a terminal value, and discount all those cash flows to present value using WACC. is particularly well-suited for evaluating companies that have stable, relatively predictable cash flows since the primary weakness of DCF analysis is that it depends on accurate estimates of future cash flows. Some analysts prefer to use reverse DCF analysis in order to overcome the uncertainty of future cash flow projections. Reverse DCF analysis starts with a known quantity – the current share price – and then calculates the cash flows that would be required to generate that current valuation. Once the required cash flow is determined, then evaluating the company’s stock as undervalued or overvalued is as simple as making a judgment about how reasonable (or unreasonable) it is to expect the company to be able to generate the required amount of cash flows necessary to sustain or advance the current share price. An undervalued stock is identified when an analyst determines that a company can easily generate and sustain more than enough cash flow to justify the current share price. Earnings growth points are determined by starting with a no-growth P/E value of 8, and then adding .65 points for every 100 basis points the projected growth rate increases until you reach 16%. Above 16%, .5 points are added for every 100 basis points in projected growth. The absolute P/E number produced is then compared to the traditional P/E number. If the absolute P/E number is higher than the standard P/E ratio, then that indicates the stock is undervalued. Obviously, the larger the discrepancy between the absolute P/E and the standard P/E, the better a bargain the stock is. For example, if a stock’s absolute P/E is 20 while the standard P/E ratio is only 11, then the true intrinsic value of the stock is likely much higher than the current share price, as the absolute P/E number indicates that investors are probably willing to pay a lot more for the company’s current earnings. You don’t necessarily have to look away from Ben Graham to find an alternative value investing metric. Graham himself created an alternate value assessment formula that investors may choose to employ – the Ben Graham Number. For example, the Ben Graham Number for a stock with an EPS of $1.50 and a book value of $10 per share calculates out to $18.37. Graham generally felt that a company’s P/E ratio shouldn’t be higher than 15 and that its price-to-book (P/B) ratio shouldn’t exceed 1.5. That’s where the 22.5 in the formula is derived from (15 x 1.5 = 22.5). However, with the valuation levels that are commonplace these days, the maximum allowable P/E might be shifted to around 25. Once you’ve calculated a stock’s Ben Graham Number – which is designed to represent the actual per-share intrinsic value of the company – you then compare it to the stock’s current share price. If the current share price is lower than the Ben Graham Number, this indicates the stock is undervalued and may be considered as a buy. If the current share price is higher than the Ben Graham Number, then the stock appears overvalued and not a promising buy candidate. Value investors are always looking to buy undervalued stocks at a discount in order to make profits with minimal risk. There are a variety of tools and approaches that investors can use to try to determine the true value of a stock and whether or not it’s a good fit for their investment portfolio. The best stock valuation process is never just a mathematical formula that one plugs numbers into and then in return receives a solid, guaranteed determination of a particular stock as a “good” or “bad” investment. While there are important stock valuation formulas and financial metrics to consider, the process of evaluating a stock as a potential addition to your investment portfolio is ultimately part art and part science – and partly a skill that can only be mastered with time and practice.